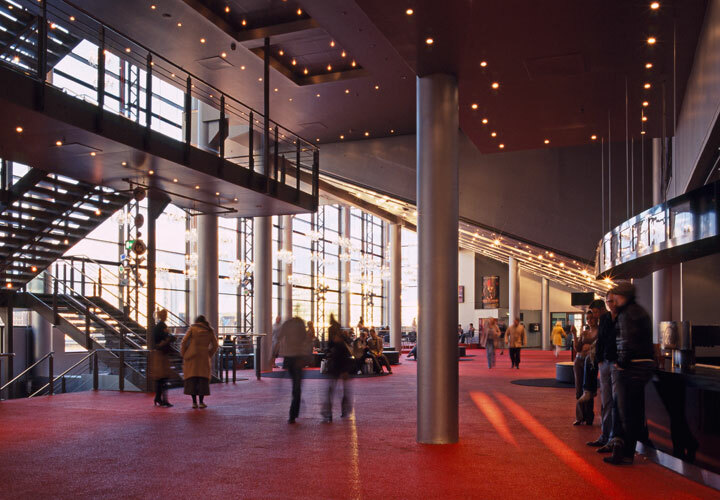 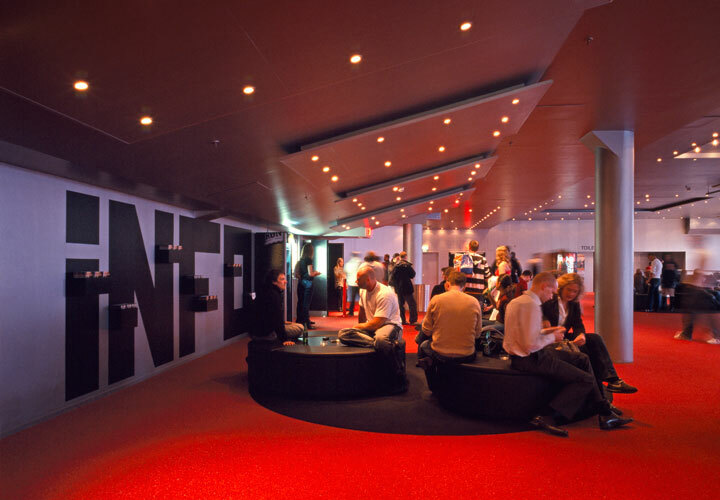 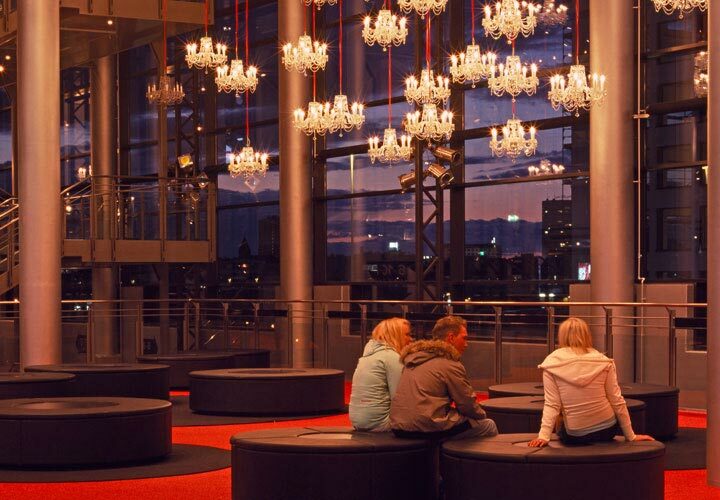 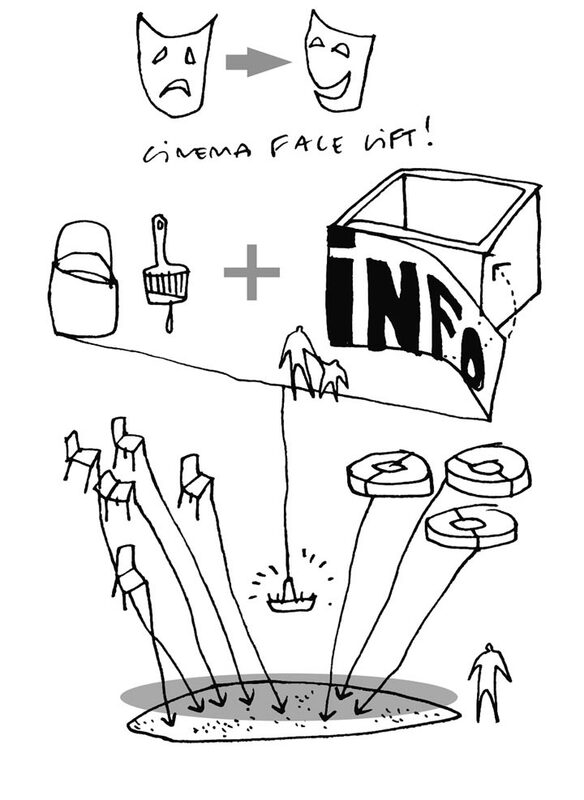 After we did the design for CinemaxX in Aarhus we were assigned with the task to refurbish CinemaxX’s foyer in Copenhagen as well. 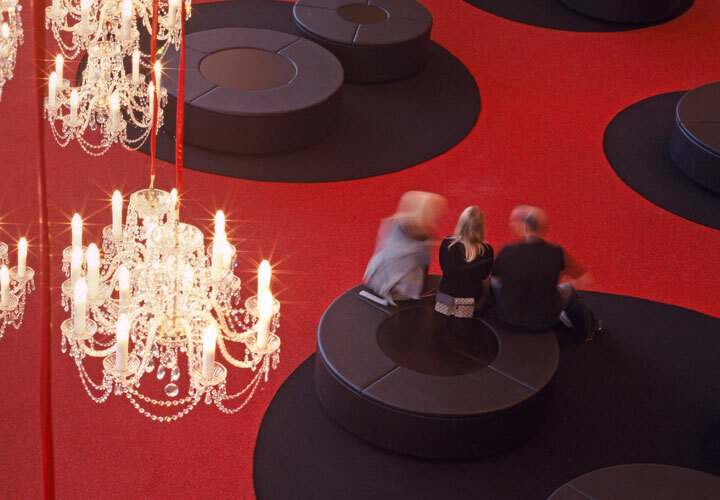 In order to create a sense of unity in the existing disconnected space a monochrome principle was introduced – the floors are theatrical red while all the walls are silver. 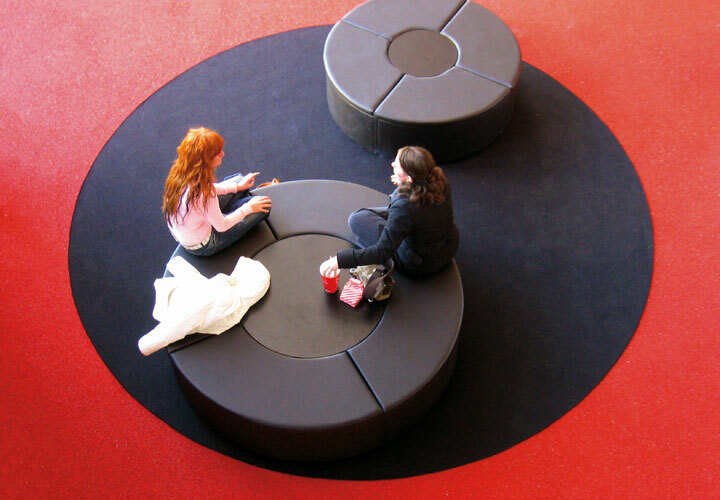 By gathering seating arrangements in round monochrome black areas they float like islands in a red sea, thereby creating visual calm and a formal. 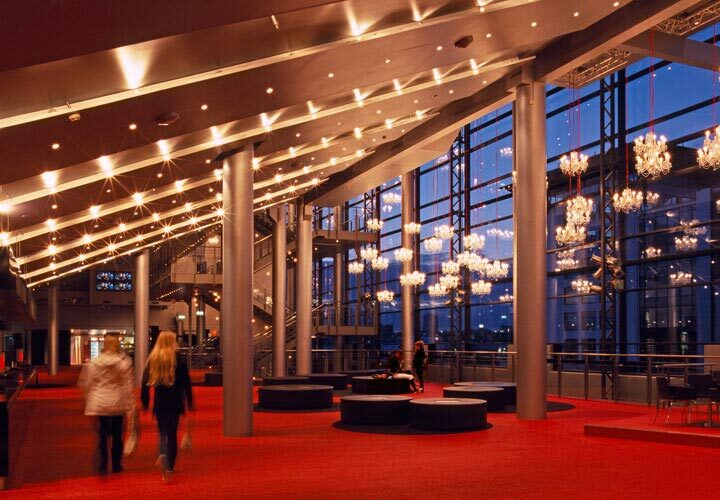 These islands serve as social meeting areas so that the foyer becomes more than just a flow and waiting space. 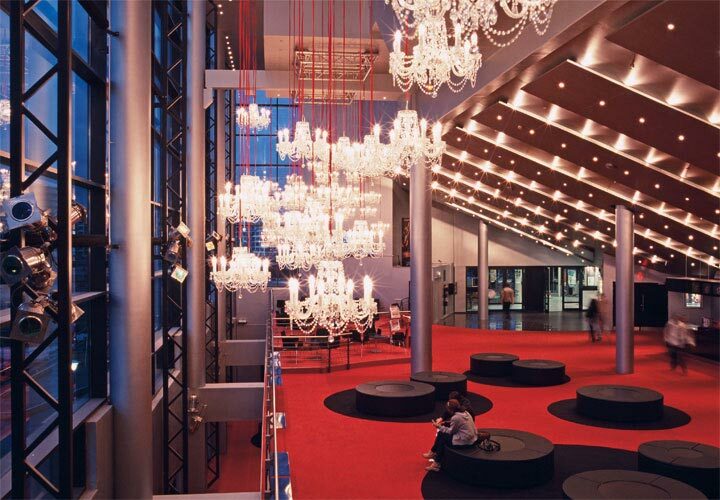 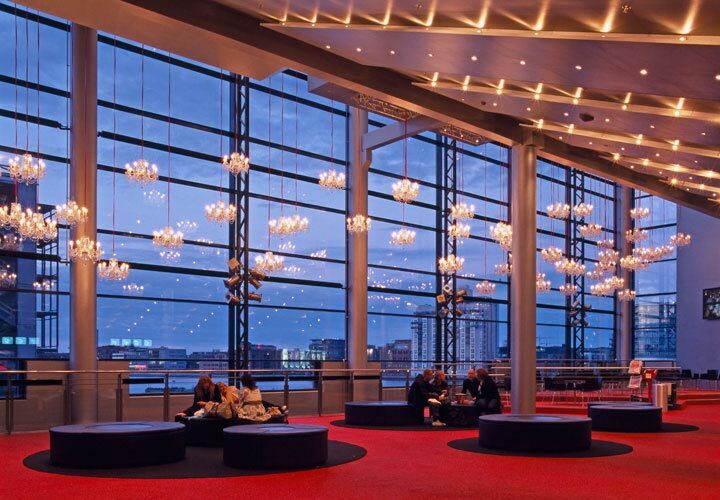 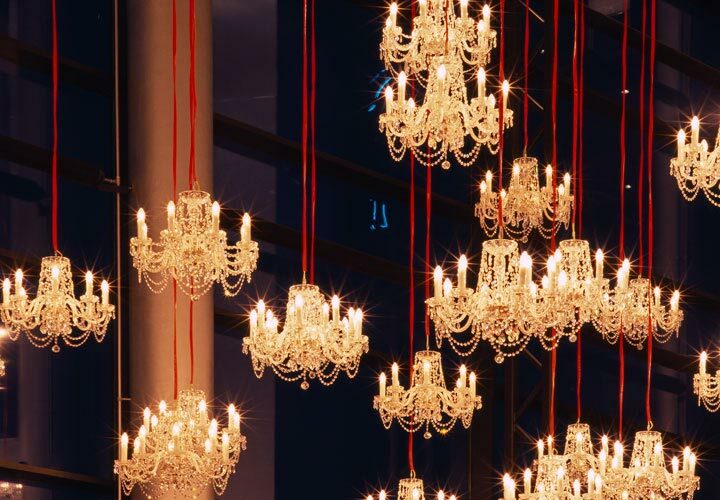 In addition, the foyer is decorated with hundreds of chandeliers to set the right movie atmosphere for the audience.